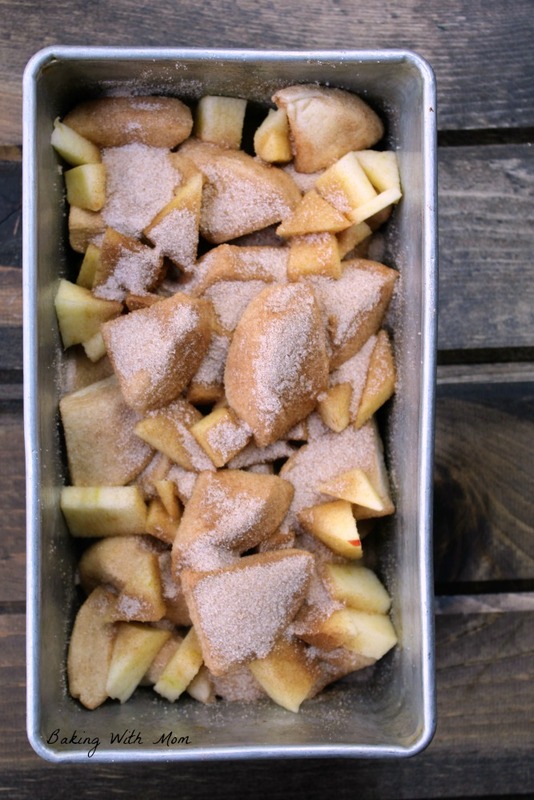 It is also apple season and I love making recipes using apples. In fact, I enjoy all things apple. Of course, when you add frosting to any apple recipe, it is a surefire win, wouldn’t you agree? This bread recipe is so easy to make. (As is most of my recipes!) Busy families need easy recipes for their families. 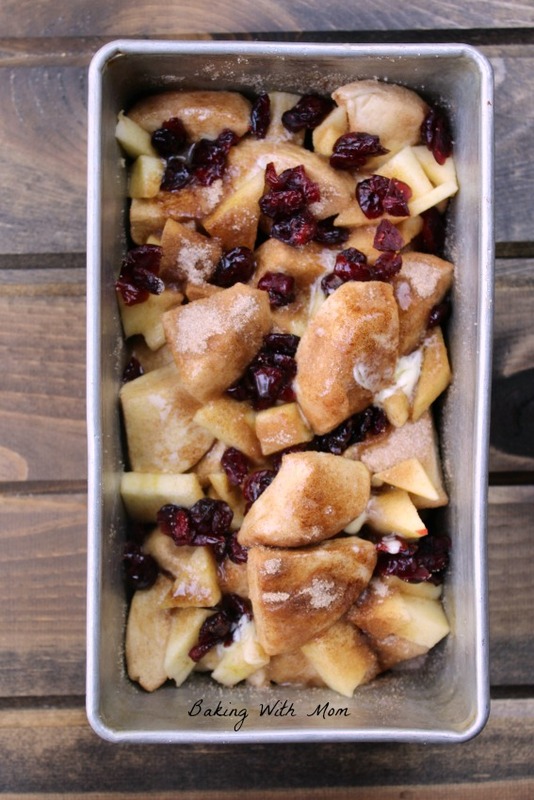 A little chopping, a little rolling and you have a delicious apple bread recipe. 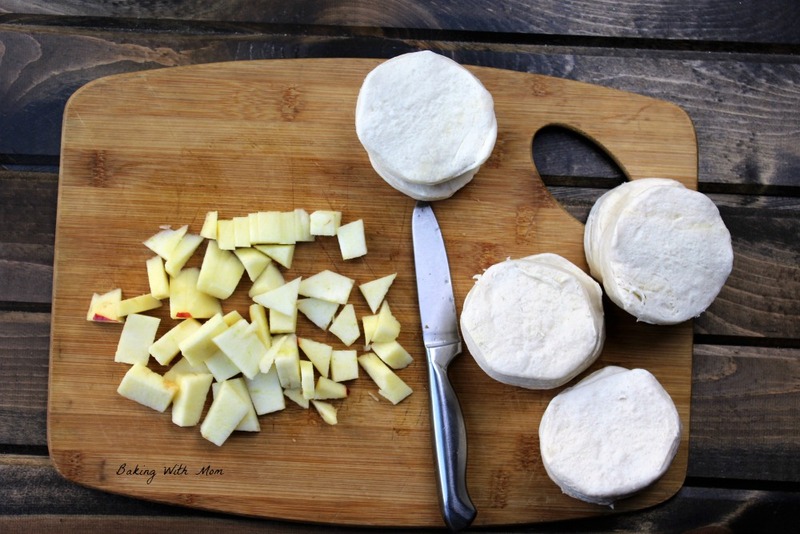 First, chop up one apple and cut one can of biscuits into quarters. 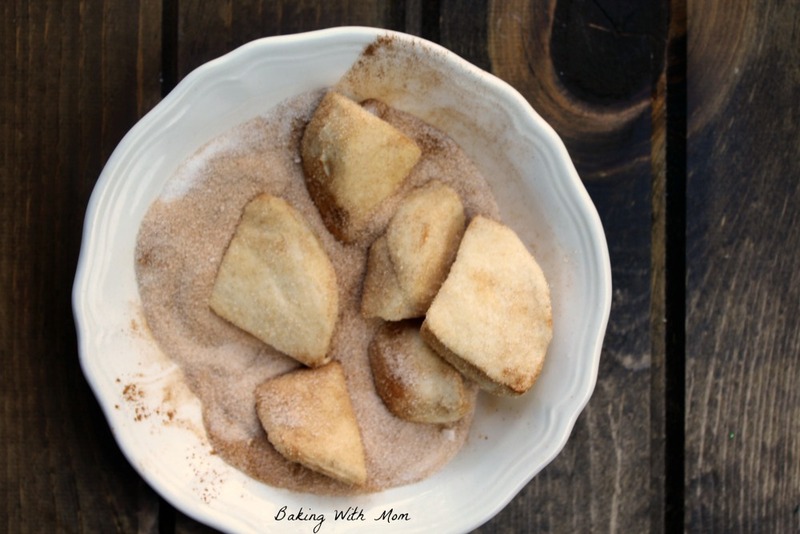 Then take cinnamon and sugar and mix in a small bowl. 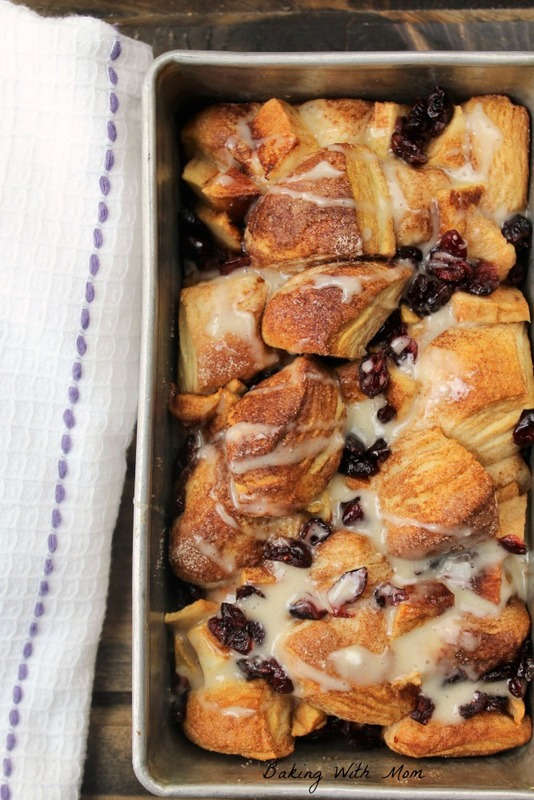 Coat the biscuit pieces in cinnamon sugar mixture and place in a greased bread loaf pan. 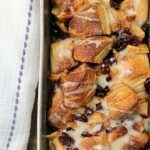 Sprinkle dried cranberries (Craisins) on top and bake in 375* oven for 20 minutes or until biscuits are cooked through and top is browning. The result is a delicious and flavorful bread the family can enjoy. Eat it for breakfast or as a snack. I would recommend making two for a larger family (like mine). This single loaf lasted all of, well, 10 minutes. Two loaves would have been perfect. 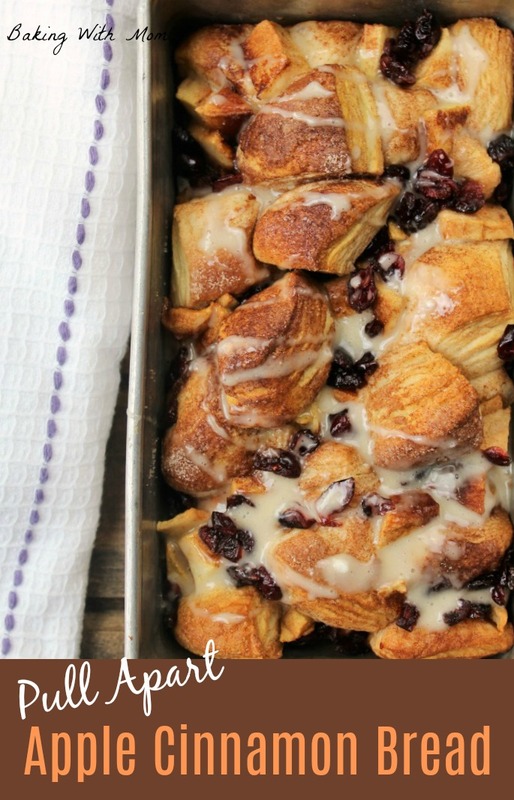 Pull Apart Apple Cinnamon Bread with dried cranberries and frosting drizzled on top. Great bread recipe for breakfast or for a snack.